Phoenix, Ariz. – Shopping Centers is another area of commercial real estate that SVN Desert Commercial Advisors covers. Director of Retail Leasing & Sales Investments, Rommie Mojahed and Senior Advisor Beau Flahart represented the shopping center owner in the transaction. The property sold for $6,900,000 to a local investor. The SVN advisors originally sold this same property to the seller in 2015 with a short-term lease left with the anchor and a vacant 12,000/PSF PAD building that was a former Chuck E Cheese. There was a ±10,000 square feet of vacant shop space as well that made this an appealing value add opportunity for the buyer. 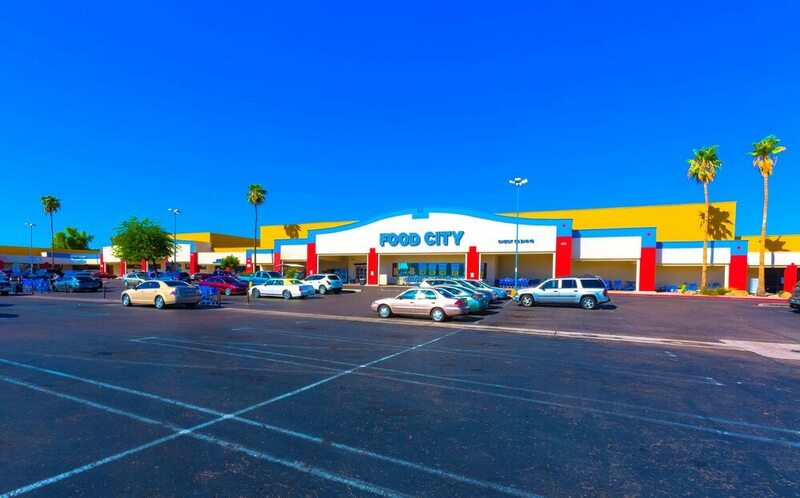 After the buyer closed, he renewed Food City’s lease 10 years and SVN advisors were once again hired as the advisors to list the property. After about 24 months the property was 100% leased which maximized the NOI making this an opportunte time to dispose. We sold the PAD building to an owner/user in 2018 that lowered the owner’s basis. Now left with a 100% occupied center, we were able to sell this property to a local investor who saw this as a long-term hold. “Persistence paid off,” said Beau Flahart. “We have been fortunate to assist them in several acquisitions and dispositions.” Long-time client, CVPRE has trusted Mojahed and Flahart to handle all of the leasing on their properties as well. The 74,604 square foot property is located at 810-848 S. Alma School Road in Mesa, AZ. The buyer Alex Holding LLC & Sunnyslope LLC are local investors.